On to the food! 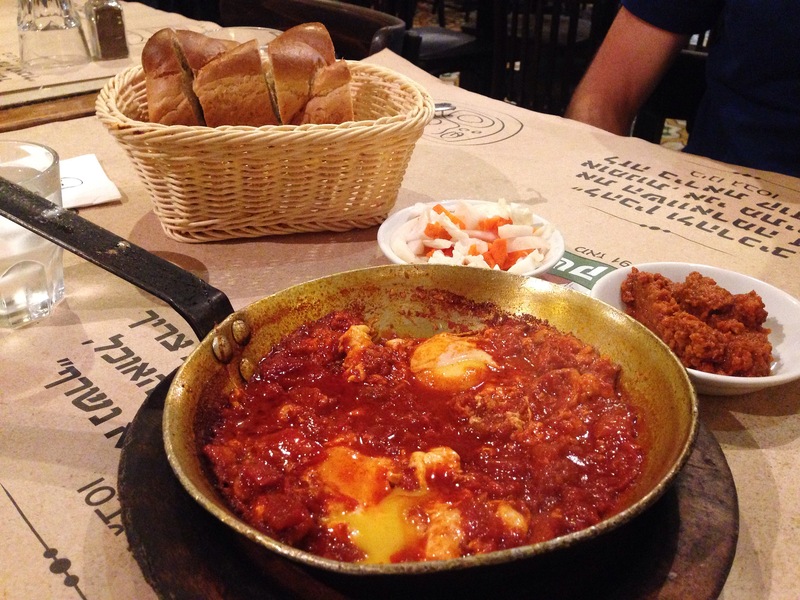 One of the things on the top of my list to eat here in Israel, anywhere in Israel, was shakshuka (شكشوكة or שקשוקה), a Moroccan dish of eggs poached in spicy tomato sauce that’s made its way east through North Africa.I thought I’d be eating it as much as hummus; it’s supposedly a common breakfast/brunch food here. I was baffled: I didn’t see it anywhere. (Okay, granted, I barely sought out a full breakfast in Israel. I prefer my cappuccino and a newspaper.) I had to seek it out the last morning of our trip at a place in Jaffa (the southern neighborhood/co-city of Tel Aviv) fittingly called Dr. Shakshuka, and even then I had to come back at night to eat it for dinner since it was closed for Shabbat. 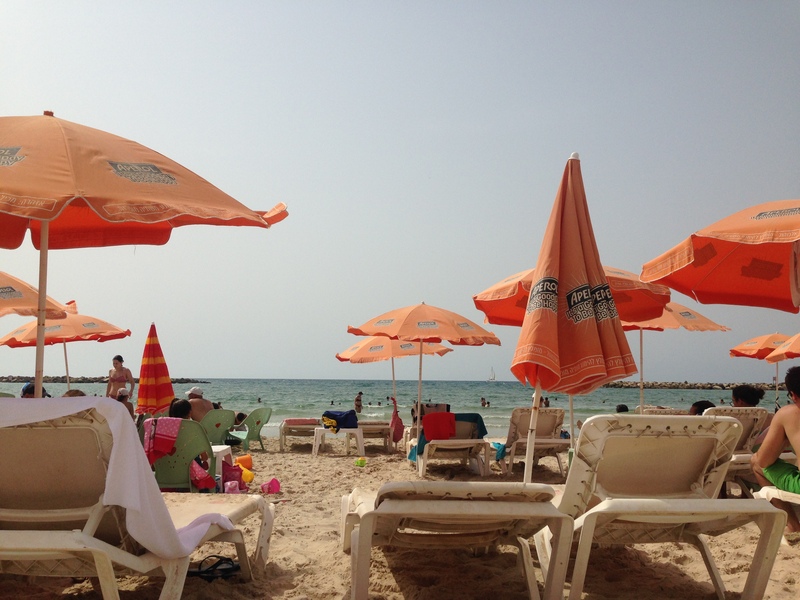 Along those lines, I was told that Tel Aviv is just like any other city and isn’t really impacted by Shabbat. Not true. 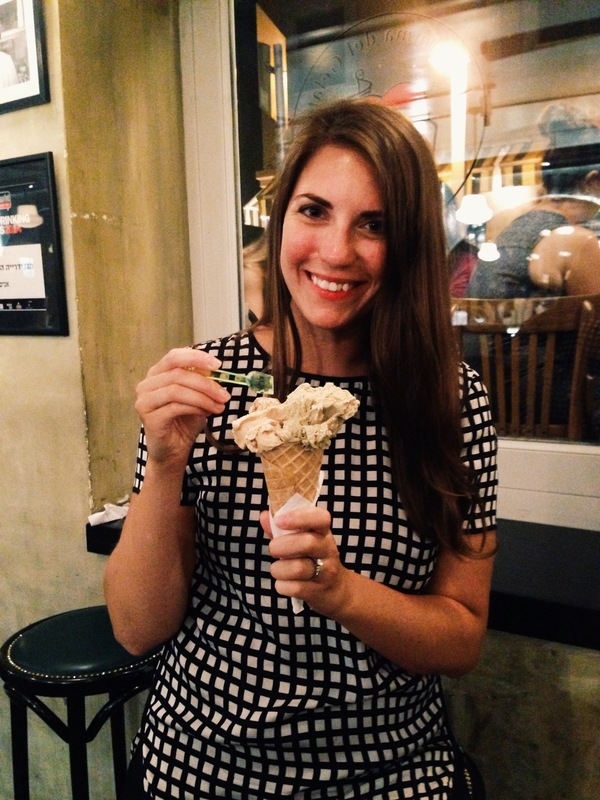 Sure, relative to Jerusalem, where it’s so quiet you can hear a pin drop in the street during Shabbat, Tel Aviv is more lively and more places are open. But there is still a lot that is closed during the day of rest. 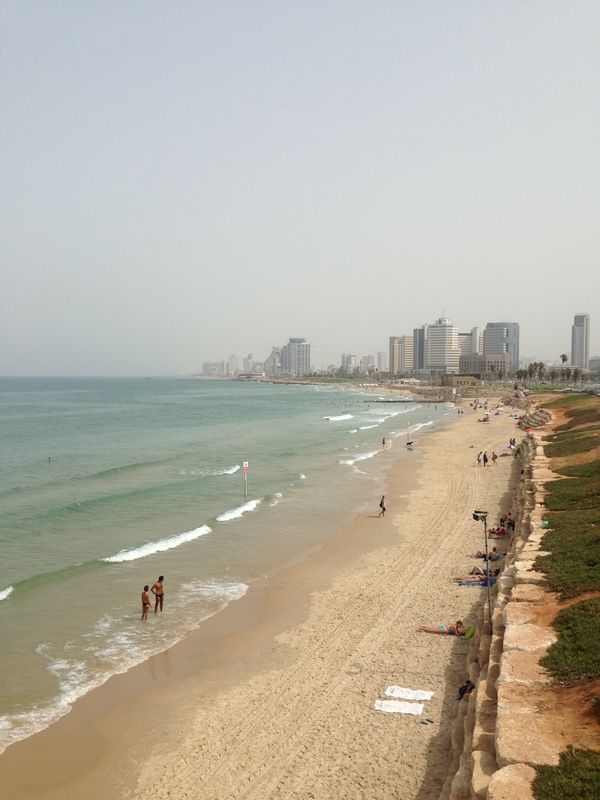 When you too go to Tel Aviv, be forewarned. 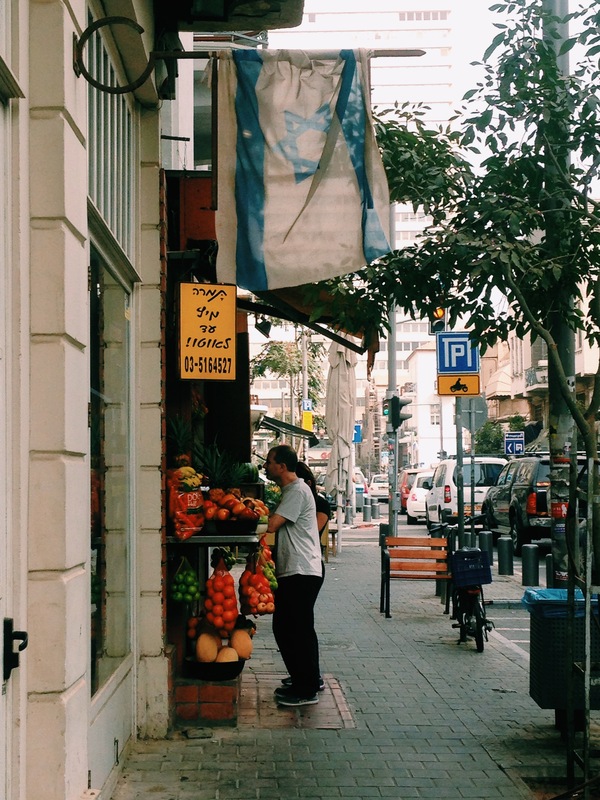 Like I said above, Israel/Tel Aviv loves its juice. (Remember my pomegranate juice?) 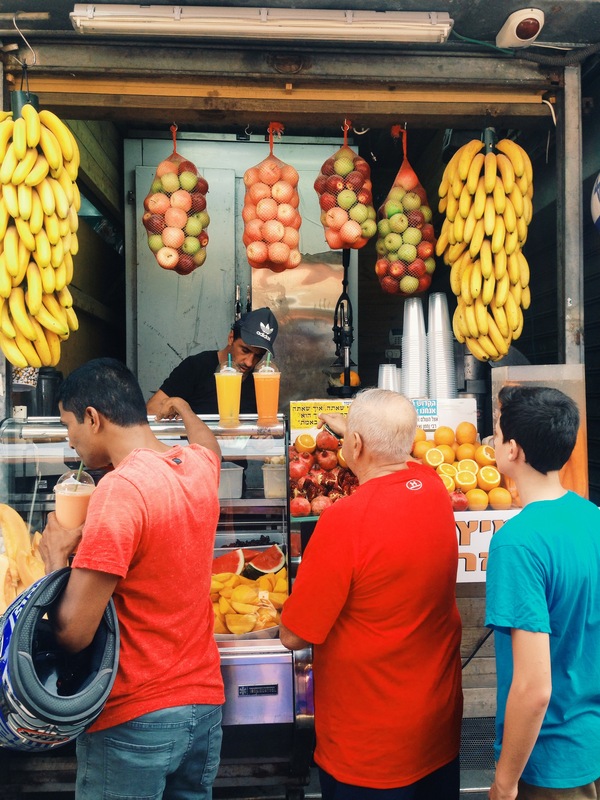 Juice stands and kiosks are everywhere in Tel Aviv; you can barely go a few blocks without seeing one on the side of the street or in the middle of a plaza, identifiable a block away given the bags of hanging fruit jutting out into the sidewalk. I wasn’t surprised to learn that Israel’s major export crop is citrus. And since Israel is also a leader in agriculture and irrigation research (you have to be a leader in R&D when you live in a region of the world that doesn’t see much rain for a large part of the year), it’s no wonder they’re producing citrus that is improved for export. 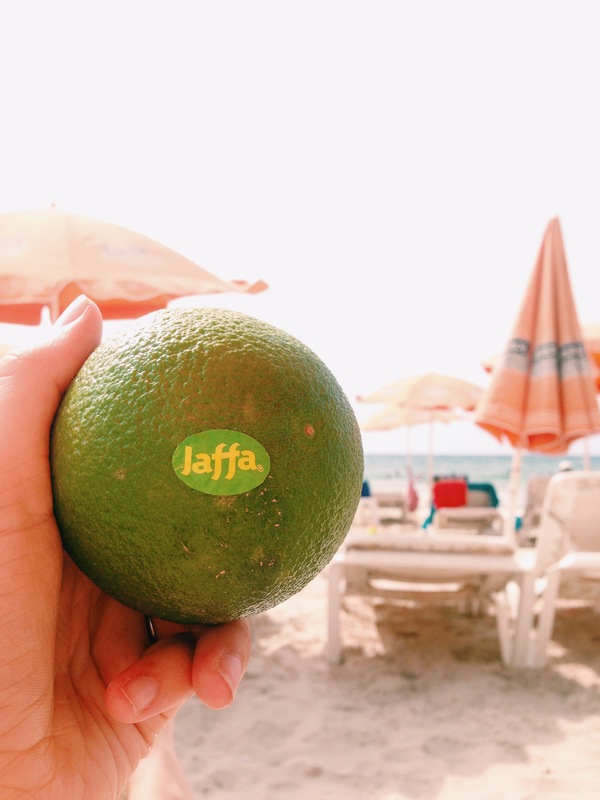 Like the Jaffa orange, which is green when it’s ripe, that has a thick skin making it a great export crop. And it was delicious on the beach. I’d also be remiss to not talk about Israeli wine at all during this trip. Israeli has several wine producing regions, including the Negev desert surprisingly, and it’s more than just Kosher/Manischewitz wine. Most of the wines I sampled were from the Golan Heights. Sadly, we didn’t actually visit the Golan Heights region thanks to its proximity to Syria and those risks, but the wine was excellent. Israel may less than 5% the size of California or France, but it produces a striking amount of quality wine. You also get to enjoy it on the coast of the Mediterranean, like I did here with a Barkan special reserve Gewürtzraminer. Not pictured: the sea crashing against a stone wall a meter away from me and the Tel Aviv skyline. Awesome. The Mediterranean was a big part of this whole trip, and it gave me possibly some of the best fish I’ve ever had. 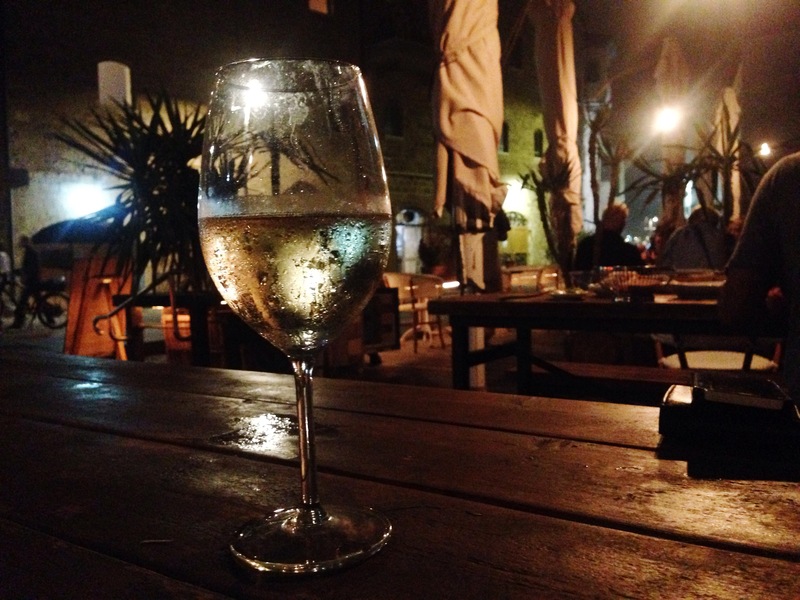 One our last night in Tel Aviv, another Shabbat night, we struggled to find a lot of good restaurants open. So we walked a few miles to Ibn Gabirol Street near Dizengoff Square and found ourselves under string lights on the patio at Ha’achim (The Brothers) and it was fantastic. 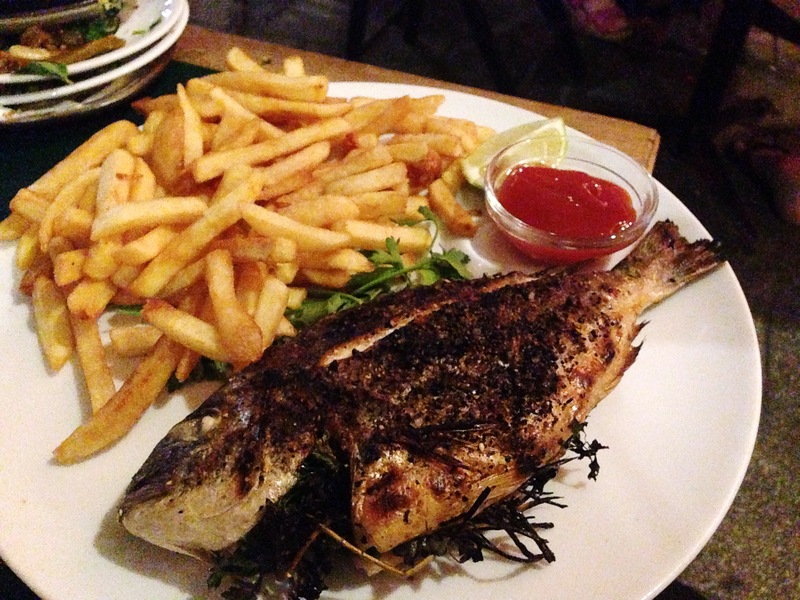 The sea bream–a fish found in the eastern Mediterranean–I ordered was charred and salty and so, so flaky. 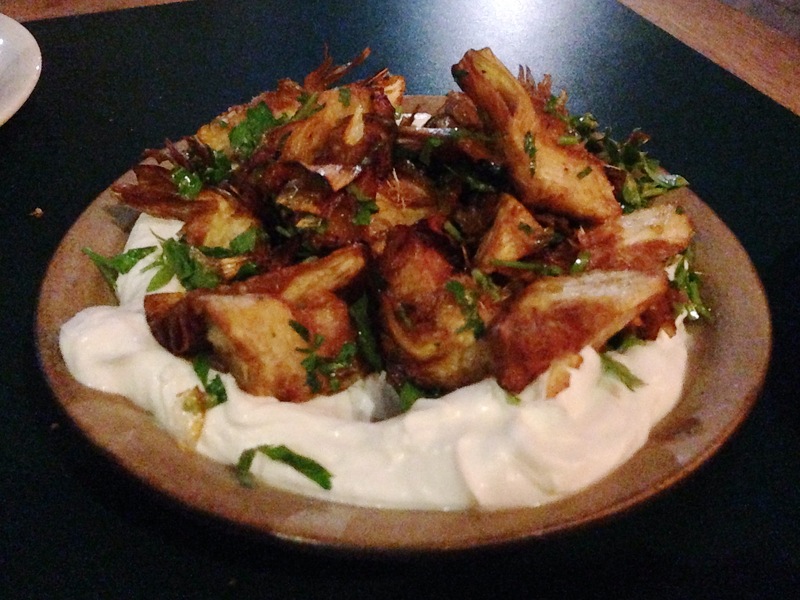 For the table, we ordered some fried artichokes with labneh, some grilled hot peppers (emphasis on the hot! 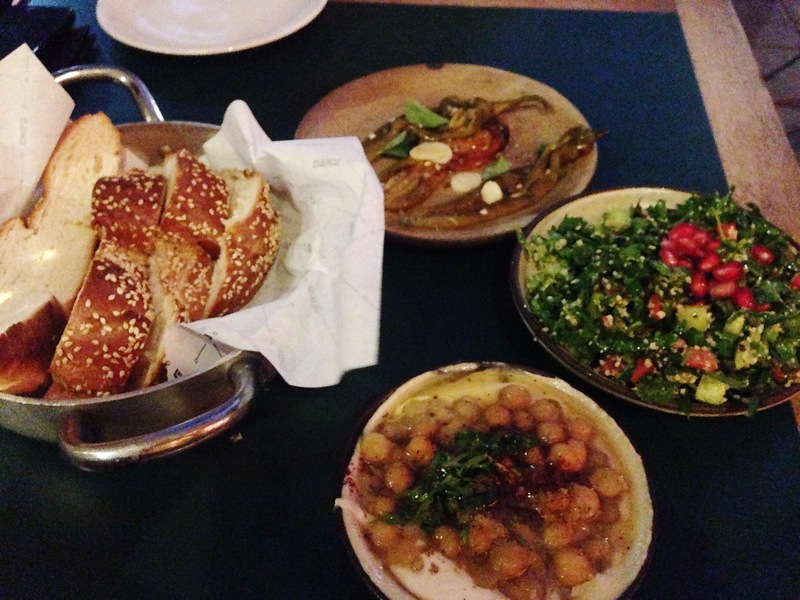 ), tabbouleh, and masabaha. Don’t worry, we still got in our hummus quota for the day; masabaha is basically hummus except the chickpeas are whole (masabaha fittingly means swimming in Arabic). 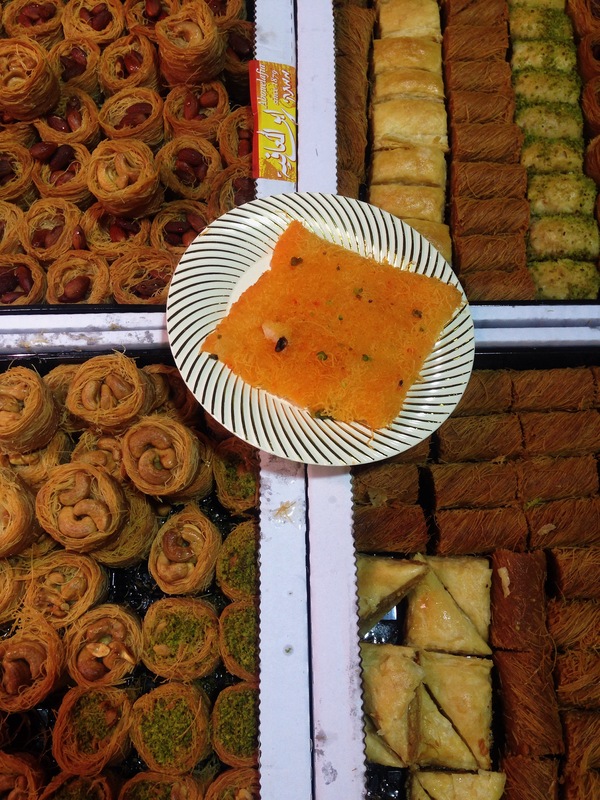 And of course, we had more kanafeh. Enough said. So, this ends my time in Israel and a holiday that has just been unbelievable. It’s so hard to leave!! It’s pointless to compare the different trips I’ve taken to each other, but if I did, this one would be near the top of the list. It’s hard to beat: the Pyramids, Jerusalem, floating in the Dead Sea, hiking up Massada, scuba diving in the Red Sea, Petra, Tel Aviv, long layovers in Germany… and I can’t wait to go through all my pictures, which constantly remind me of the small (and personally meaningful) parts of travelling that begin to fade after a few weeks, months or years. 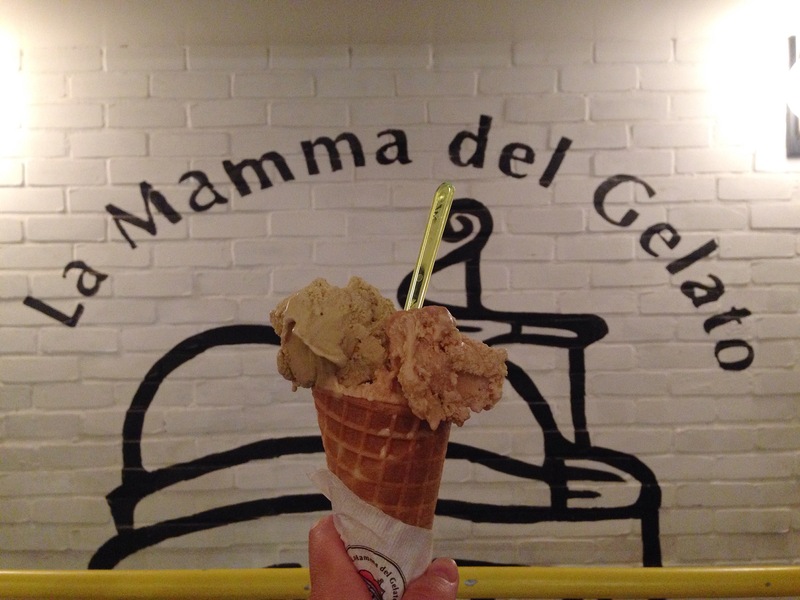 But all is not lost… I have a fun schedule of traveling in the months ahead. Stay tuned!